21.12.2018. The 100 Club. London. 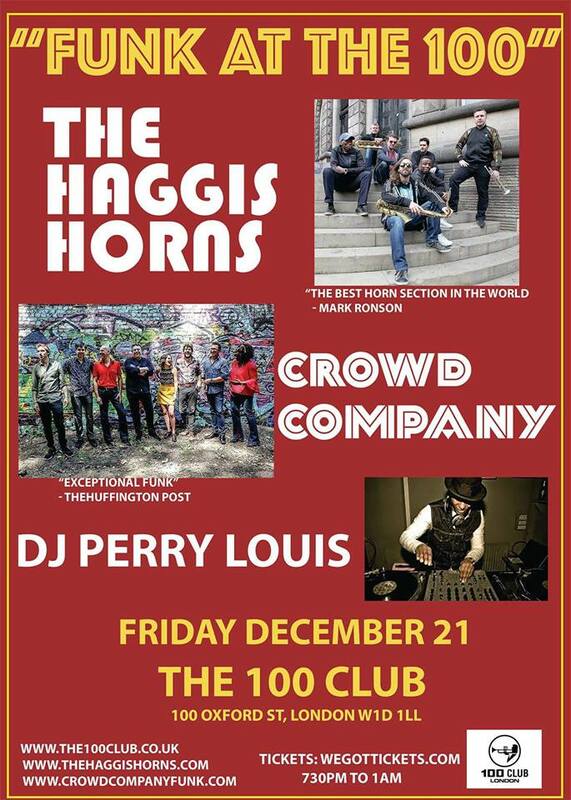 Really looking forward to playing at the 100 club in London on the 21st Dec 2018 for a funk xmas party! Also on the bill are Crowd Company and DJ Perry Louis!